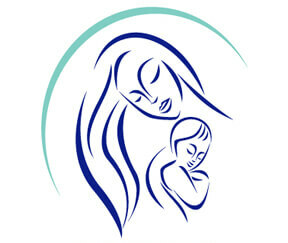 California IVF Fertility Center is a private practice office serving the Sacramento region. In addition to being an innovator in the field of infertility treatments, California IVF is also a destination for many patients across the United States and other countries. Our Sacramento Infertility Specialists are developing new approaches to how infertility services are provided. Many clinics claim to use the latest technology and most advanced techniques. At California IVF, we believe in setting the standards that other clinics will copy. We continue to look for new ways to push the boundaries of what is possible. In the near future, our research will allow us to make additional changes and once again move the bar for the Sacramento Region. California IVF originally opened in 2004. 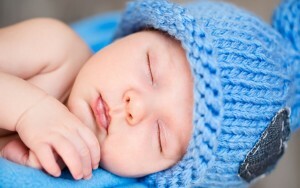 Since that time the center has continued to offer all forms of male and female infertility testing and treatment. Services were expanded with a Sacramento location by acquiring SIRM-Sacramento, located at 2288 Auburn Blvd. Suite 204 in 2011. At the same time, California IVF entered into a collaborative arrangement with UC Davis Sacramento. Our collaboration agreement allows patients enrolled in the UC Davis Health System to receive their care at our Sacramento and Davis locations. We have continued to evolve our services and the growth has continued. New Office Opened in Sacramento! California IVF Fertility Center has opened a new fertility clinic in Sacramento California and merged operations from our Davis and Sacramento offices. Our new facility will allow us to continue our efforts to improve outcomes for patients in the Sacramento region and beyond. Many new upgrades were built into the new office to better serve our patients. With convenient access to the airport, patients from other states and other countries will now have easier access to our services. As recent as 2014, patients using their own eggs with IVF treatments would have pregnancy rates as high as 50% with each transfer. With the latest developments in IVF, patients can have up to 70 to 75% changes of success on each try using their own eggs. The Northern California and Sacramento region is home to a modernized fertility center that does more than claim to use the latest technology. Our collaborative arrangement with UC Davis Health System is allowing us to shape the future of what is possible. Many insurances will cover the cost of a consultation with an infertility specialist. Some insurances cover a portion of testing and conservative treatments, while other insurances cover IVF and fertility preservation. We are able to see patients with most types of insurance including Sutter Health, Dignity Health/Mercy, NorthBay Healthcare. Tricare, and most private insurances such as Cigna, United Health Care, Aetna, Blue Cross, Blue Shield, and more. We see many patients from Kaiser when infertility services and IVF are not covered benefits. We realize patients have a choice is selecting a fertility clinic and infertility specialists to help them become pregnant. We are constantly striving to improve our services and patient satisfaction. Satisfied patients have allowed our practice to grow. California IVF to continues to evolve our approach to treatments and improve the outcomes for our patients. With many of the recent developments and the opening of our new Sacramento location, we are poised to usher in the next generation of IVF treatments and remarkably high rates of success. We offer free tours as a means of seeing our facility and meeting some of our staff. Many insurances require referrals from your primary care doctor. Many insurances may have very limited benefits or strict conditions. Pre-authorization may delay testing or treatment. While we assist patients with insurance, many factors involved with insurance are well beyond our control. Patients are ultimately responsible for their insurance and charges associated with visits and services provided. We provide services to locations throughout Northern California. We are working to build strong network ties in the following cities and more: Davis, Sacramento, Dixon, Vacaville, Fairfield, Vallejo, Napa, Lodi, Redding, Roseville, Citrus Heights, Rocklin, Lake Tahoe, Fresno, San Francisco and the Bay Area, and beyond. We have had many patients traveling from other locations within the state including Fresno, Monterey, San Diego, Las Angeles, and other parts of Southern California. We also work very well with patients from other states and other countries. Approximately 15% of our total patient population and 20% of our IVF population is travelling to Sacramento from other states or other countries. With an efficient approach to care we can often minimize your visits to our center while maximizing your chances of reaching your goals of building a family. Call today to schedule your free informational tour. There are no obligations when you meet members of our team and learn more about our services.